A doe and her fawn, pretty grown up by now, pass through a North Albany yard. The deer are back with us after hanging out some other place for the last few weeks. That means it’s time to remind motorists on our semi-rural roads to slow down. That quince could use some more trimming. One morning last year, I heard a gunshot outside. I looked out and saw a Benton County deputy holstering his sidearm. 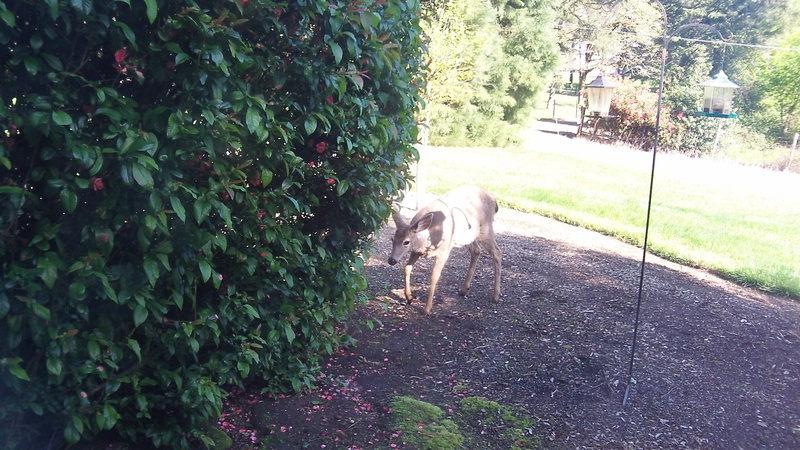 I talked to him and learned he had been called to dispatch a deer that was lying in the ditch after being hit by a car. According to everything we read, car collisions with wildlife are becoming more frequent across the country. 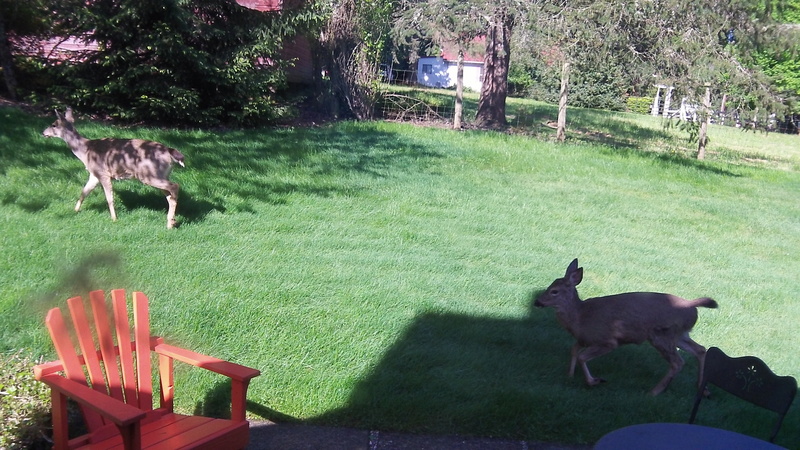 Especially the deer population has shot up because, evidently, there is more and more nourishment for the creatures in the form of suburban gardens. As for gardens, the pickings are slim around here. So the deer have feasted on the leaves of young trees and seedlings, especially birch and oak. But they’ve also done us a favor by trimming a patch of ivy and a quince bush, nibbling the leaves as high as they could reach.